We had a very busy week last week alhamdulillah! MATH: Patterning ABAB patters using different common features found in the children in the classroom. example) wears glasses, doesn't wear glasses, wears glasses, doesn't wear glasses. or girl, boy, girl, boy, girl, boy. etc. I see a red apple. I see a green apple. I see a yellow apple. I see an apple with different colours. Thank you Allah for giving us apples. We also started our Jolly Phonics curriculum, starting with the letters Ss, and Aa. Students learned the sound and action that goes with each letter. They also learned the correct formation of the letter. SCIENCE: We completed a KWL (know, want to know, learned) chart on apples. Students learned that apples grow on trees (not bushes, or plants), they contain seeds, and that they are a fruit. 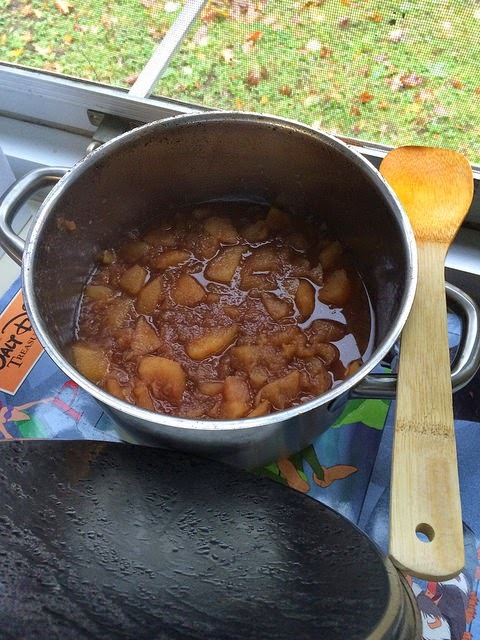 They also learned that there are many different kinds of apples. 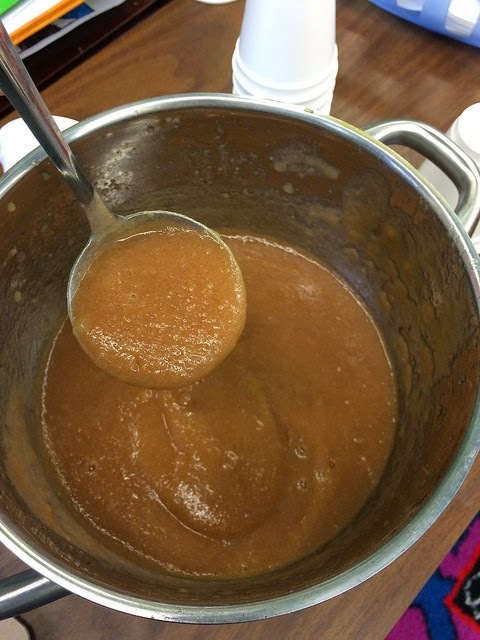 We also learned what goes into apple sauce and worked together to cook up some amazing cinnamon apple sauce. Jazakum Allahu khairan for sending in apples with your children :). ART: We created beautiful Ss-Snake puppets, as well as pattern apple prints. Alhamdulillah the children had lots of fun dipping apples into paint to produce beautiful apple patterns. ISLAMIC STUDIES: We watched a short video on the 5 pillars of Islam. We will be working on this theme for the next few weeks insha'Allah. We will also be talking about the hijra (migration) of our beloved prophet (PBUH), and how he traveled from Mecca to Medina. The students enjoyed taking part in our weekly Friday prayer and they are improving daily masha'Allah. GYM: We practiced throwing and catching a ball, and two different types of throws. Every class the student take part in warm-up exercises, followed by one or two games, then a warm-up. WRITING: The students are now writing in their journals, mashallah I already see so much improvement in the students' penmanship. The students also went on a Word Hunt, this is an activity where the children walk around the classroom and copy any word they see. READING: We have started our Reading Buddies program with the grade 4A class. This program will take place every second week insha'Allah. The children really enjoyed being read to by their older peers.